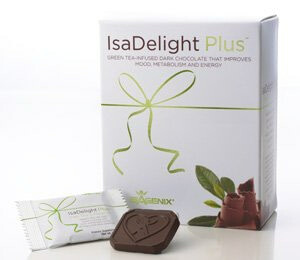 Finally, all of those who live Down Under can now enjoy the deliciousness of IsaDelight Plus from Isagenix Australia. If you haven’t heard about these delectable treats, you should know that they can make those Cleanse Days so much easier! Those nagging hunger pangs are what cause most of us to get off track when trying to lose weight, and cravings for sugary snacks can make it so difficult to resist the temptation to give in. Before now, it seemed that you just had to fend for yourself; struggling to fight the urge to eat something sweet and sometimes losing that battle. 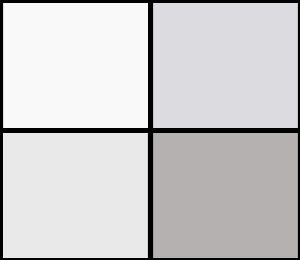 If you gave in, you probably felt bad for the rest of the day, but if you didn’t you probably still felt pretty miserable not being able to satisfy your cravings. Guilt-Free Dark Chocolate Snack – Boost Your Brain! Fortunately, IsaDelight Plus is now in Australia which means you can enjoy a square or two of heavenly dark chocolate on your Cleanse Days to satisfy those cravings and strengthen your willpower. Because the brain has been found to naturally crave “feel-good chemicals” that are derived from chocolate and other sugary treats, IsaDelight Plus was formulated with B vitamins, antioxidants, minerals, green tea extract and amino acids that can help ease those cravings by filling that need. You don’t have to feel guilty about giving in to the great taste of dark chocolate, as IsaDelight Plus helps to boost fat burning and raise the metabolism while containing just 50 calories per square! Eating one or two can help you to achieve success, particularly on Cleanse Days, by curbing those cravings for junk food and contributing to your good health. IsaDelight Plus contains green tea extract, which helps boost the nutritional benefits with powerful antioxidant support in addition to potentially raising the metabolism even further to aid in your weight loss goals. Studies have found that green tea extract contains antioxidant catechins, including EGCG, that help battle free radicals and support better fat-burning potential. Dark chocolate is known as a healthy, nutritious treat in reasonable amounts as it contains many health benefits that are derived from fruits and vegetables. In fact, dark chocolate offers eight times the amount of flavonoids found in strawberries, which serve as antioxidants to help protect the body from free radical damage. Combined with the 125 mg of green tea extract, each IsaDelight Plus packs a punch when it comes to battling ageing and boosting antioxidant strength. Each tasty square also contains just a small amount – 13 milligrams or less – of caffeine. The caffeine has not been added but is naturally found in dark chocolate. The amount is comparable to a cup of decaffeinated coffee, which means it’s very minimal and shouldn’t cause problems for those who are trying to avoid caffeine. Having a snack available like the IsaDelight Plus is a great way to support weight loss, due to its ability to curb cravings and ease in-between meal hunger. We are extremely pleased that Australians now have access to this great, guilt-free product that can make achieving optimal health so much easier.